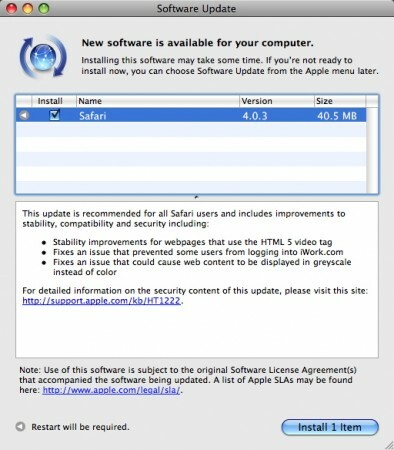 Apple has just updated their Safari web browser to version 4.0.3. 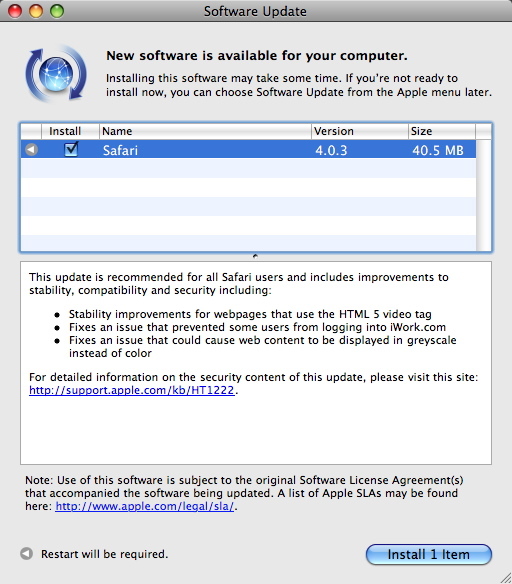 The update includes improvements for webpages that use HTML 5 video tag, fixed issues with iWork.com and another issue that shows greyscale sites instead of color. The update is available from Apple’s Software Update.